A family on a ski holiday in the French Alps are suddenly hit by a avalanche and when they resurface their relationships with one another has been shook to the core. A family on a ski holiday in the French Alps are suddenly hit by a avalanche and when they resurface their relationships with one another has been shook to the core. Östlund’s latest feature, Force Majeure, is a chilly, provocative drama in which a split-second decision in the face of an advancing avalanche proves a critical test of character, and explores the cracks that lie beneath the surface in a seemingly happy family on a skiing holiday in the Alps. 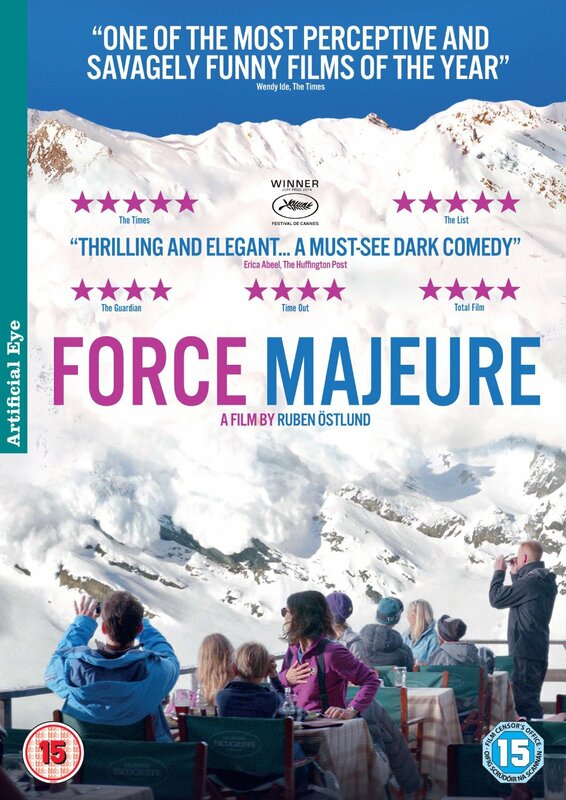 Östlund’s latest feature, Force Majeure, is a chilly, provocative drama in which a split-second decision in the face of an advancing avalanche proves a critical test of character, and explores the cracks that lie beneath the surface in a seemingly happy family on a skiing holiday in the Alps.